is our LABO’MATIK. A reservoir of stories, characters, situation that can strike imagination or configure our future. Opinion, thoughts, COMING NEXT on TV or WEB, on shoot update & news, it is our Voice to the World. We will work on updating this category as much as possible by raising other people voices regularly. with hands-on experience in non-fiction program development, substantial industry contacts and eager to manage all steps to take an idea from treatment to screen. with a network of digital and traditional sales agents for broadcasting rights, a passion for making the connections and a vision for what will work. 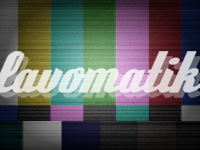 Lavomatik is encouraging DIGITAL DISTRIBUTION with key partners such as iTunes. With a view to support INDEPENDANT documentary films distribution and production. with a huge appetite for writting, an obsession for cutting, underlining, pasting and classifying press articles, headlines, photos, quotes and news that could one day become the missing plot. Being under development projects, work-in-progress scripts, cross-media projects, social tv, content based Apps or community based programs, this category is the ENGINE OF OUR DRUM. This is where contacts and connections are made giving birth to new ideas. In production since October 2010 with ETO Agency, we are proud to present « Seb met son grain de Sel ». A web-series of 3 minutes episodes featuring young globe-trotter Seb who decides to travel France for meeting clients of Flunch. The French brand is one of the biggest theme restaurants network in France. Serving 60 millions meals per year, they were looking for refreshing their brand and launching social media activities. I had the pleasure to showrun this program merging documentary and brand content. Exciting! WEBDOC ‘VERY FLUNCH TRIP’ NOW AVAILABLE ON-LINE at http://blog.flunch.fr/category/seb-met-son-grain-de-sel. Release. After more than 2 years on production, from Greenland to Newfounland, Canary islands to Switzerland, Ice Dreams is coming on screen in France and rolling out in Europe end of 2010 / early 2011. Premiering in Paris on December 2010, ‘Ice Dreams’ tells the amazing story of Georges and his team crossing the Atlantic Ocean to catch their dreams of turning iceberg into drinkable water. A great adventure by all means! Production Kwanza / 3DS with the support of France 3. Directed by J-M. Corillion. Along years in content production, distribution and direction, I gathered a lot of material, stories and points of view. This special program is a quick look at our FAST & FURIOUS world. Hope, fears, war, beauty but PEOPLE MAKE STORIES and a life worth putting it on scene.